You’re in the right place if you want to address your autoimmune disease naturally. Right now, a life without symptoms or prescriptions may seem impossible to you. I’m passionate about helping others heal from autoimmune diseases because I’ve gotten my life back after years with a debilitating autoimmune disease called Ulcerative Colitis. Now, I’m medication free and have no signs of my disease thanks to doing a nutritional autoimmune protocol. The Autoimmune Paleo Protocol, shortened to AIP or simply Autoimmune Paleo, provides the body with building blocks for rebuilding gut health. The common factor between all types of autoimmunity is a permeable intestinal lining, also called leaky gut. The AIP removes foods that perpetuate leaky gut while bolstering the body with ingredients for balancing hormones and blood sugar. Autoimmunity can never be “cured” because the autoimmune antibodies will always be present in the body. Once the gut is healed, however, the autoimmune antibodies will not be triggered. Since the Autoimmune Paleo Protocol is a temporarily, intensive healing diet, know that you will most likely be able to re-introduce many foods after you heal your gut. Some foods, including grains, will most likely need to be avoided to prevent a flare up. 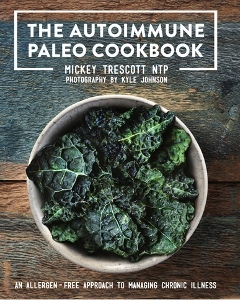 Can Autoimmune Paleo help me? Are you ready to address your autoimmunity with diet? 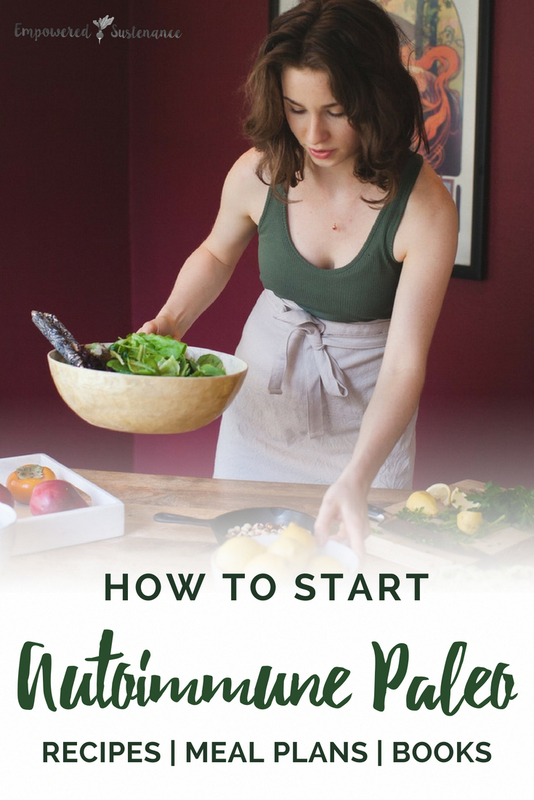 Here are 9 tips for getting started with Autoimmune Paleo! Hundreds of scientific references to back up this exhaustively-researched book – Sarah is a scientist and knows the importance of analyzing study after study to support her writing. When my copy of the The Paleo Approach arrived, my family members thought it was a textbook! So yes, it is a tome and the chapter on the immune system is slightly intimidating (but I thoroughly enjoyed it). If you are not interested in why autoimmunity develops and manifests, feel free to skip the Immune System chapter and get right to the How To part of the book. Creative cooking techniques replicate off-limits ingredients. For example, a no-egg mayo made with coconut! It just became available here on Amazon. A discussion of leaky gut is required to understand an autoimmune protocol. We need to know how our food is impacting our body — either perpetuating or healing disease — to be motivated enough to make drastic, sustained lifestyle changes. The small intestine, where nutrients are absorbed, is supposed to have tight cell junctions to separate the chyme (food turns into chyme in the stomach) from the bloodstream. But a chain of factors, including stress and environmental toxins, causes these tight junctions to degrade. Once the connections between intestinal cells are weakened, undigested proteins and bacterial toxins escape into the bloodstream. This leads to a heightened state of inflammation, allergies, and eventually autoimmunity. Autoimmune symptoms dissipate when we heal our gut. Inflammatory toxins and proteins no longer end up in the bloodstream, and the body stops its own attack on our tissue. Make meatballs with 3 lbs. of ground beef, freeze half the batch after cooking. That gives me about 6 meals worth of protein in the fridge and 6 more in the freezer. Roast 3 butternut squashes to make butternut squash puree. Freeze half the batch. Make a double batch of my Grain Free Gravy recipe and freeze half. It’s a good all-purpose autoimmune paleo sauce. 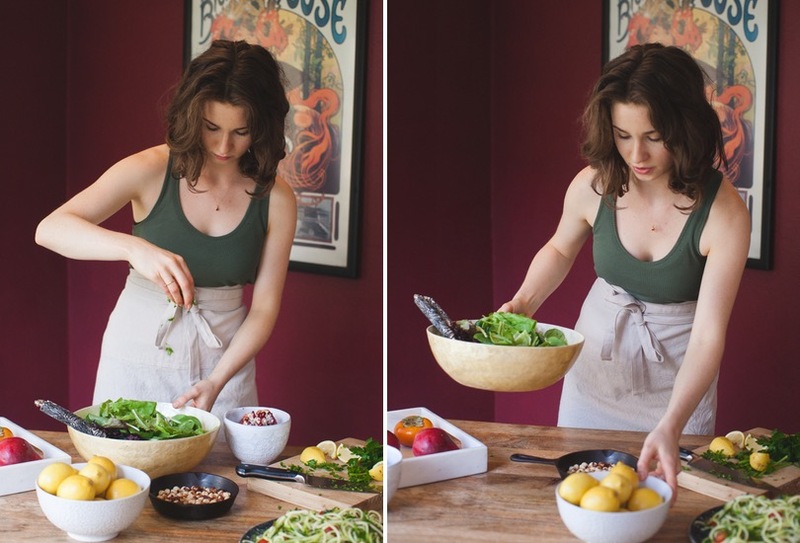 For a complete gameplan, read my post Autoimmune Paleo Batch Cooking: 12+ Meals in 2 Hours. Although meal planning sounds time intensive and complicated, this simple task takes only a few minutes out of your day and saves you from meal time distress. When I meal plan, I start by planning one dinner. I make enough of that dinner so that I have leftovers for at least three meals. That way, I have some easy breakfasts and lunches. I also plan some easy “reheat meals.” For example, I’ll make a big pot of soup that I can quickly reheat at mealtimes. Basic meal planning entails writing down a grocery list, making notes about when you need to thaw out meat or frozen foods, and how much of something you will cook. You will also want to briefly outline a main dish and side dish for each meal or simply designate a meal as “leftovers.” Remember, cook in bulk so that you have leftovers! To make meal planning a breeze, I can’t recommend Real Plans highly enough. For just a few dollars a month, you’ll get meal plans customized for an AIP diet. It can also be tailored, with just a few tweaks in your Settings, to accommodate additional food restrictions or reintroductions. Here is my experience with Real Plans. One of the perks of being a blogger? All the time I spend on Pinterest counts as work 🙂 Which is a good thing, because I have a love affair with this visual social media network. 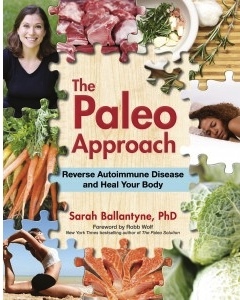 The Autoimmune Paleo Protocol provides powerful healing potential, but it is not a flexible routine. As scary as it sounds, there is no room for cheating during this temporary healing period. It’s all about giving the intestinal lining an uninterrupted chance at healing, and incorporating an inflammatory food can flare up the disease or drag healing progress backward. 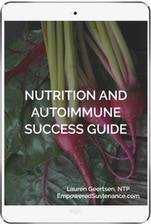 If you are currently experiencing symptoms of an autoimmune disease, I recommend starting Autoimmune Paleo as soon as possible. The longer autoimmunity goes unaddressed, the more damage it creates and the more time you will need to heal. If your disease is less aggressive, you have more flexibility with starting the protocol. You may choose to wait a month or two until things are quieter at work, for example, so you have more energy to devote to the protocol. If you are starting next week or next month, I suggest selecting a start date to prepare yourself emotionally. Write this date down on your calendar and use the prior few days to stock your kitchen, order the books and dig out your lunchbox (because you will be packing a lunch for perhaps the first time in years). One common pitfall of the Autoimmune Paleo Protocol is attempting to find suitable breakfasts foods. The simplest solution? Forget the concept of what breakfast should be. Who says that cereal, pancakes or granola bars are a mandatory way to start the morning? When I did the Autoimmune Paleo Protocol, I ate dinner leftovers or a hearty soup for breakfast. Autoimmune paleo breakfasts are that easy! 8. Stay centered: don’t take flack! Here is the response that I used to these snide remarks and it works well, feel free to use it if you get annoying comments! You’ve got this. You may not find support from those who you wish would provide support, but you will find support elsewhere. Autoimmune paleo is a lifestyle change, but it will change your life. On this healing journey, you will discover strength you didn’t know you had. You will discover your gifts which you will use to support others in their own healing. There are some tradeoffs, but it’s worth it. You’ll outgrow your old, normal life. Finding stress management routines that work for you. The Paleo Approach has some great tips for this! The goal of AIP is to heal your gut, so you can enjoy as many healthful foods as possible. 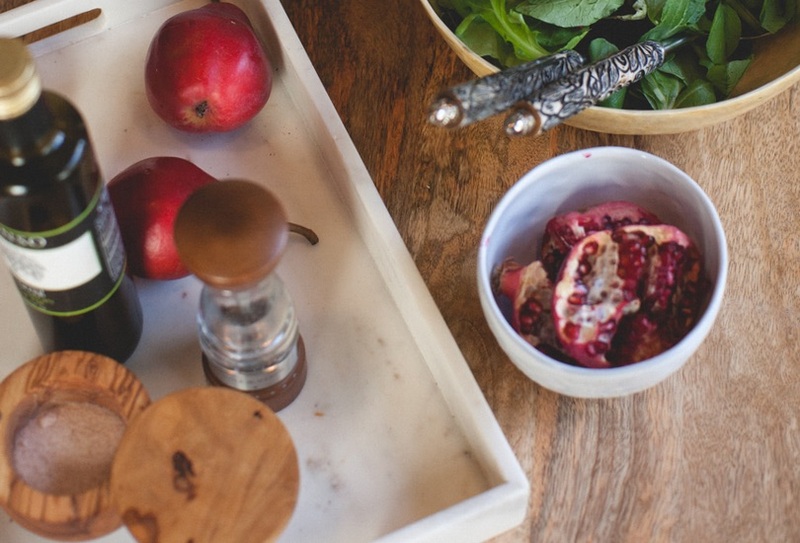 Check out my post 3 Ways to Successfully Re-Introduce Foods when it’s time to expand your diet. My goal at Empowered Sustenance is to support you in making healthy changes, so that you can change your life. Never forget, you are strong enough to make the difficult changes required to transform your health. Do you want to start the Autoimmune Paleo protocol? What do you find most challenging about it? My hair grew back after 3 years of baldness. It’s now falling out again – help please! I’m so sorry to hear about your hair! This happened to me, also. I think the first thing is to see your doctor, to have labs taken, to see what is going on in your body. For me, I was growing more and more tired, and had to start working half-days. My issue was highly elevated liver enzymes. This happened a decade ago, and it happened again around Thanksgiving 2018. Now I’m on the same protocol as what worked 10 years ago: Prednisone and an autoimmune suppressant. My issue seems to be idiosyncratic autoimmune hepatitis. Even though I lead a clean life (no drugs, alcohol, no piercings, no tattoos, healthy fresh food, great exercise habits), every once in a while, my enzymes leap up to a dangerous level and I need to be on the two mentioned drugs for about a year. The only clue I have is that both times, my levels soared after a hepatitis vaccine. (The first time, I was traveling to Mexico and the State Department website recommended a hep A vaccine for the area. My health issues followed the vaccine. This time, I needed a hep B vaccine for work, and my levels soared again.) I think the best thing to do is get tested by your doctor; follow his/her recommendations; eat clean (fresh fruit/vegetables/lean meat or vegetarian or piscatarian, your choice/lots of fresh water), get good quality and quantity of sleep each night, exercise regularly (walking is great and not stressful), and maybe meditate, if you can start the practice. I think society sometimes blames us when we get sick, as though it were our fault. But with autoimmune diseases, not enough is yet known about what triggers them at this time. So it is up to the patient to track the foods they eat, the immunizations and other medicines they have to take, and their exercise/sleep habits to see if they can see positive results. For me, now, I was so sick around Thanksgiving this year that I wanted to write my obituary, but was too sick to do so…Now, after about a month of steroids and autoimmune suppressant, I feel normal again. To try to keep the weight off from Prednisone, I am walking 8-12 miles daily (break it up into several times/day) and lifting weights at home. I wanted to join a gym, but am worried about my autoimmune system now being suppressed and picking up a staph or fungal infection at the gym, so I work out at home. I can work full-time again, and I feel good. I think you must take your situation under your control, and see what works for you. Good luck, and I hope you feel much better! I have a huge concern with you including Type 1 diabetes in your list of autoimmune disorders that have been resolved by this diet. Did you mean Type 2 diabetes? I would totally agree with being able to resolve Type 2 with this diet, but Type 1 is completely different, incurable, and in no way able to be “resolved” and should not be included in this list. I have high cholesterol plus auto-immune problems (metabolic). Should I have concerns with eating so much meat? Yes, you should not eat much read meat at all. Fish is good (fresh, frozen, tinned – all good), and chicken and turkey would be better choices. Grocers now have poultry labeled so you can purchase fowl grown on pasture, without antibiotics. That is best for you. Every once in a while, grass-fed beef could be a special treat, but don’t indulge in this often. I started the AIP paleo a couple of weeks before Christmas knowing there would be a week or so of not being diligent. Oh, did I notice a difference in the inflammation pain when not adhering to the food plan in a short time! I’m stocked and ready to feel the relief again after the holidays with my MS issues. I look forward to exploring your site further!!! Congratulations on starting AIP, and I wish you all the best on your healing journey! I have PMR I’m in so much pain every minute of every day is a struggle. There are days I Just don’t know if i can keep going.